Every year on the second Sunday in May, people celebrate and honor mothers and motherhood. Here are some ideas that will make a great Christian Mother’s Day craft preschool children can easily create during Sunday school. The children will be eager to give the crafts as gifts to their moms and their mothers will also have a keepsake to cherish. Give each child a piece of construction paper and fold it in half so it looks like a greeting card. Have the children color some green grass on the bottom of the outside of the card and draw two or three stems for flowers. Also, have the children make and color a tree on their card. Dear God, Thank you for green grass, pretty flowers and big trees. Thanks for my wonderful mommy too! Amen. Make sure to have the children sign their name on the bottom of the card. Preschool age children love to paint and watch things grow. 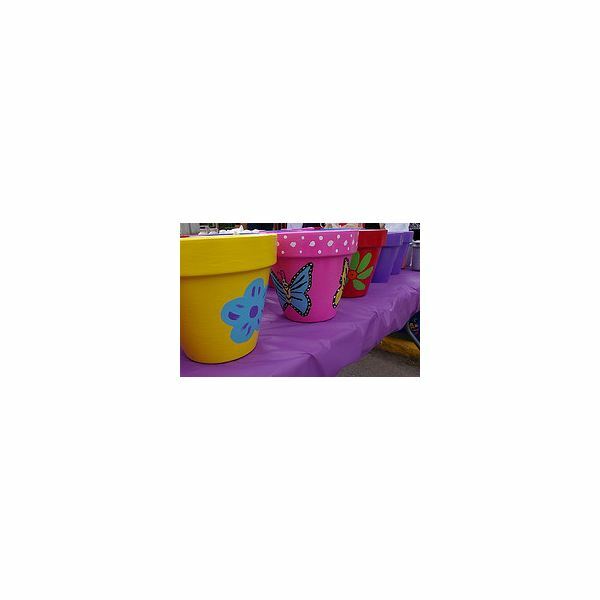 Have the children paint miniature clay flowerpots with tempera paint. They can decorate them however they please. Put potting soil in their pots and provide them with flower bulbs, seeds or actual growing flowers to plant in the pots. Give them each a string or ribbon and a small index card with a hole punched in the corner. Dear Mom, I planted this flower because I love you. When that is finished, they can string the ribbon through the hole and tie it around the flowerpot. Preschool age children will more than likely need help tying. Children can give this gift to their mothers to enjoy for the upcoming weeks. Fold the paper plate in half and then in half again. This will be the angel’s body. Have the kids draw a face on their white lid and then glue the lid on the angel’s body for a head. Shape the pipe cleaner into a halo and glue the halo to the back of the head. Show the preschoolers how to spread the cotton balls apart to make them look like the angel’s hair. Have the children glue the hair on the angel’s head. “Honor your father and mother.” Exodus 20:12. Explain to the children what this means and tell them to think of this whenever they see their angel. Mothers love getting handmade gifts from their children they often mean more than store bought gifts. Let’s make this Mother’s Day memorable.